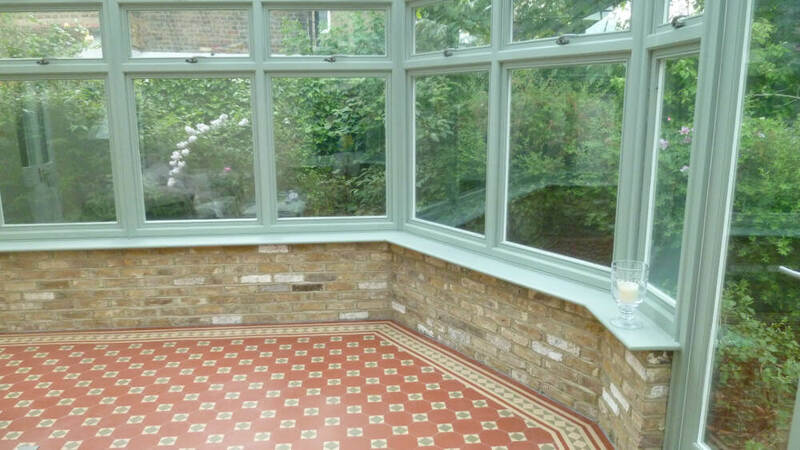 One of the things that makes Wandsworth Sash Windows unique is the fact that we can provide an incredible variety of services. 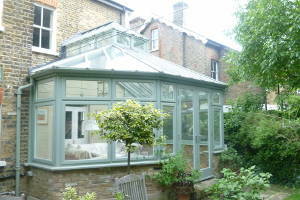 The customer at this house in Bexley had complete new box frames and sashes installed by us. 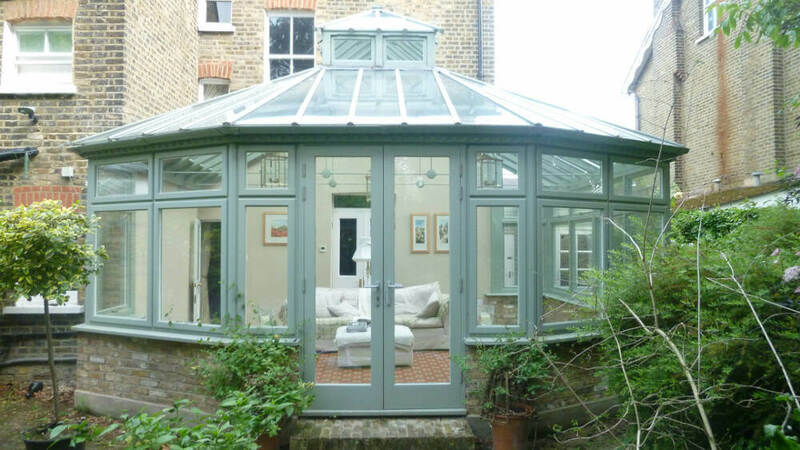 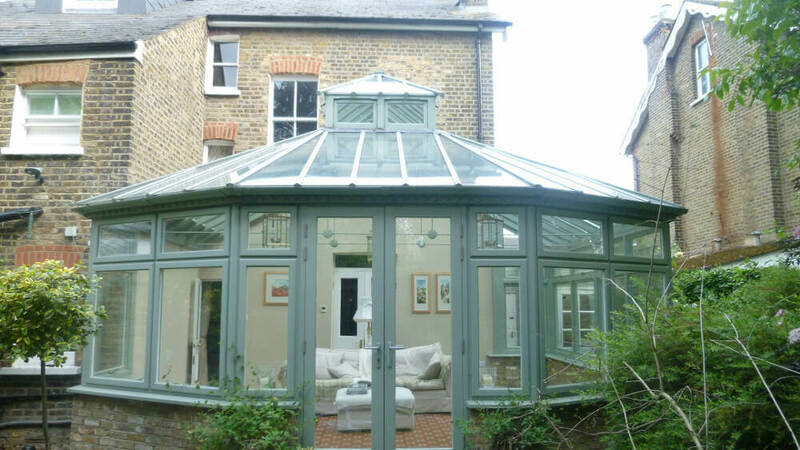 Once we finished the work the customer then enquired whether we would be able to build a new conservatory which we duly quoted for and were awarded. 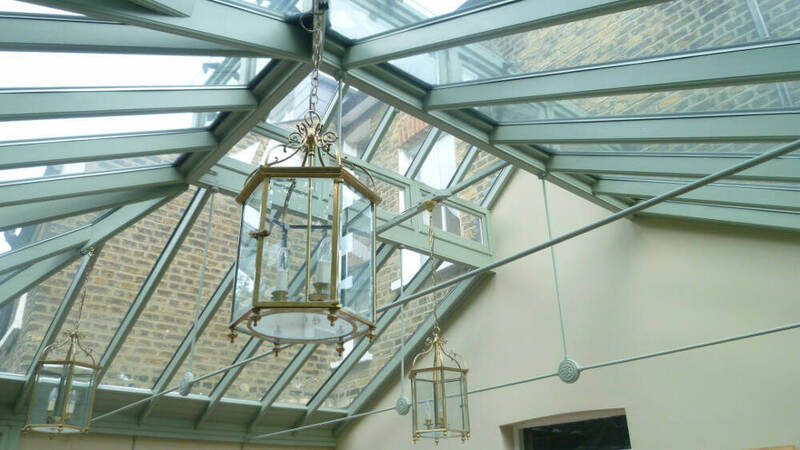 The first part of the process was to design and agree detailed drawings with the customer. 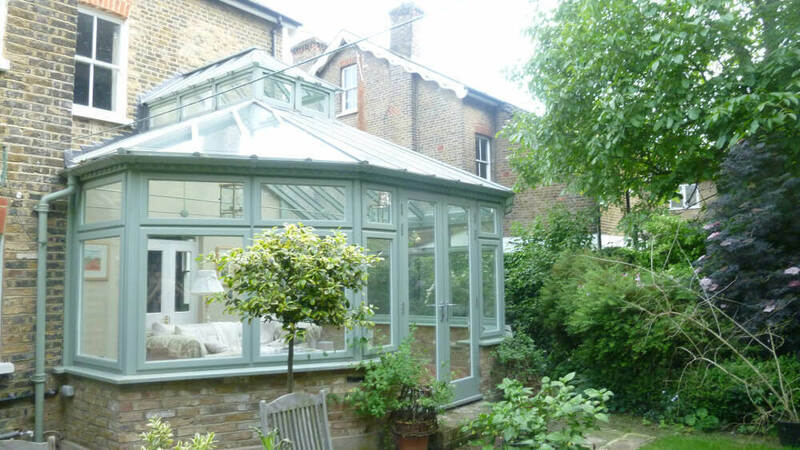 Work began by removing and disposing of the old conservatory. 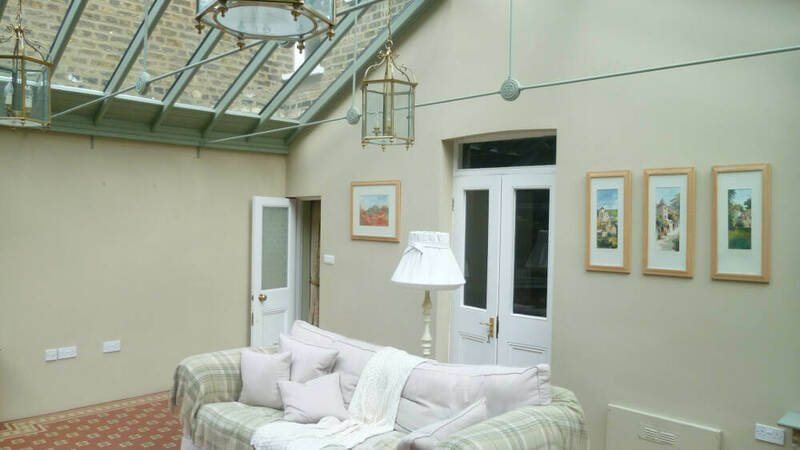 We laid underfloor heating and prepared all the brickwork whilst the joinery and joists were in production in the workshop. 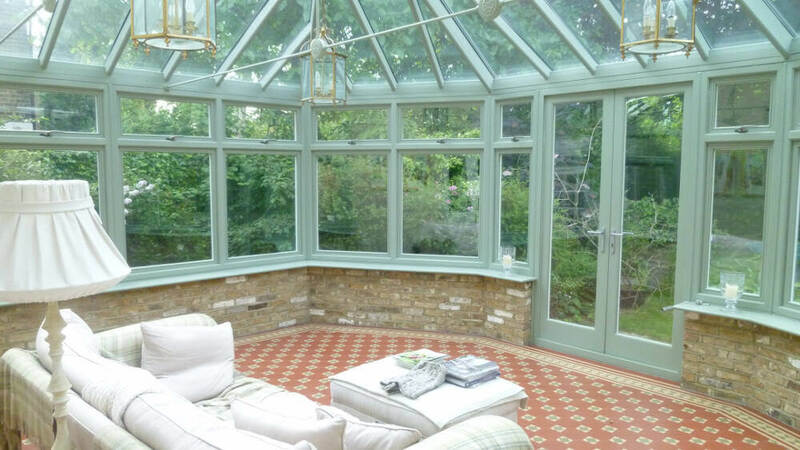 Everything was made in hardwood and painted in a light green as per the customer’s instructions. 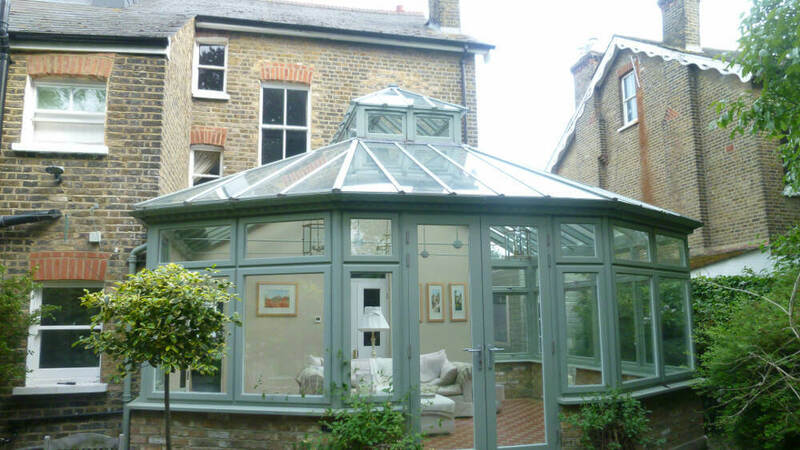 Toughened glass was installed at the top and we also completed the exterior guttering.